The cushion that Indian companies have for paying interest on their debt is declining. The interest coverage ratio, which indicates the ability of a firm to pay interest on its debt, has deteriorated in the past four quarters. 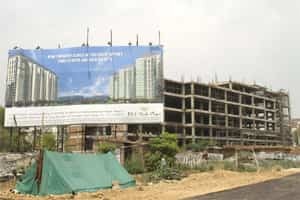 Companies in sectors such as real estate and infrastructure have been affected quite badly on this front, which is not surprising given the high debt on their books. The interest coverage ratio of 14 realty companies fell to 2.88 in the September quarter from 3.42 in the March quarter. On a sequential basis, infrastructure firms, too, have been hit hard. The interest coverage ratio of 21 infrastructure firms declined to 1.66 from 1.84 in the June quarter. An interest cover of 1.66 is borderline and there’s considerable risk of companies missing interest payments if profitability weakens further. While it’s been a tough journey for the last couple of quarters, the outlook on interest costs does not look bright either. Analysts maintain that higher interest costs are likely to persist at least until the fiscal year ends. Recall that the Reserve Bank of India had said inflation will be down to 7% by end-March 2012 and that 7% is certainly not within its comfort zone. That would mean it’s very unlikely that the central bank will start to cut rates this fiscal. At the same time, the slowing economy could put pressure on corporate profit, further affecting the ability to service loans. Already, the rise in bad loans of banks such as State Bank of India point to the pressures companies are facing. Add to that the depreciating rupee, which increases the burden of servicing foreign debt. The next two quarters will be crucial in this respect.